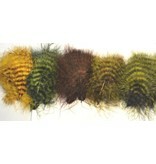 Montana fly company custom dyes all mfc barred marabou to achieve brilliant colors with perfect and consistent barring. From leeches to sculpin patterns, mfc barred marabou will give your streamer patterns a natural mottled look that fish can’t resist. 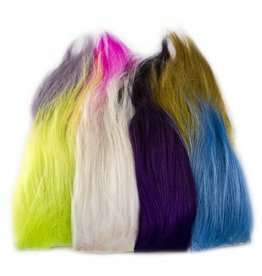 This material is used for numerous patterns where softness and natural breathing action is desired. 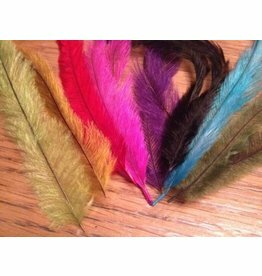 Try marabou for nymph gill and wing cases. Nymphal and pupal shucks on emergers or twist together the fibers and wrap like herl for a fuzzy body effect.